The Xerox Nuvera 100 / 120 / 144 MX is the production system with the capabilities and security features you need for your demanding Magnetic Ink Character Recognition (MICR) printing environment. MICR printing demands a workstation capable of delivering unparalleled print accuracy. The Xerox Nuvera 100 / 120 / 144 MX offer this through industry-leading paper handling accuracy. TELER registration ensures your prints are precise, while an image resolution of 4800 x 600 dpi guarantees that your prints are reproduced exactly. The Xerox Nuvera 100 / 120 / 144 MX is more than capable of meeting your secure printing needs for years to come. 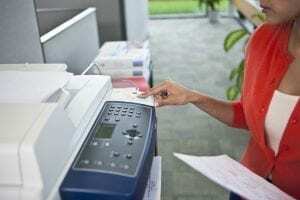 With the ability to print both MICR and non-MICR documents at the same time, you can be sure your workflow won’t be hampered by your security printing needs. The integrated Xerox FreeFlow Print Server provides an intuitive user-interface that allows your organization to spend more time printing and less time navigating the menu. Built on the Solaris 11 OS, the Xerox Nuvera 100 / 120 / 144 MX contains the security features you need to ensure end-to-end security for your printing needs including customizable profiles, IP address filtering, strong password support, and a data overwrite option. Magnetic Ink Character Recognition (MICR) capability. Air shuttle feeder for enhanced paper handling. Dual toner cartridges (up to 220,000 MICR prints). TELER Registration for enhanced image-to-sheet and front-to-back precision. RIP resolution of 1200 x 1200 dpi. Printing resolution of 4800 x 600 dpi. Print speeds of 100, 120, 144 PPM. Integrated 19” screen and intuitive user interface for easy navigation. 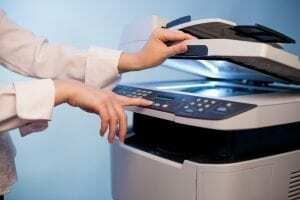 Xerox FreeFlow Print Server offers easy digital MICR prints.